Today’s modern infrastructure has daunting storage challenges. Storage needs to be fast, flexible, efficient, scalable, and easy to augment without interruptions to the business. Storage Pooling meets these requirements. Disk pools provide the foundation for all the core functionality within SANsymphony. Storage Pools are the principle constructs around storage virtualization. Any block storage device such as Flash or traditional disk may reside within the disk pool, whether it is connected via Fiber Channel, iSCSI, or directly attached. Once a pool is populated with a storage device, virtual disks can be created out of the pool and served to application servers over the fabric or network. Avoiding vendor lock-in is extremely important today and a key benefit of storage pooling. Storage pooling allows easy addition or removal of any storage device within the disk pool. Whether expanding capacity, introducing a new flash technology or decommissioning an old storage array, storage pooling delivers the flexibility to perform all of these tasks safely and without disruption. Storage Pools unify various storage devices from any storage vendor. 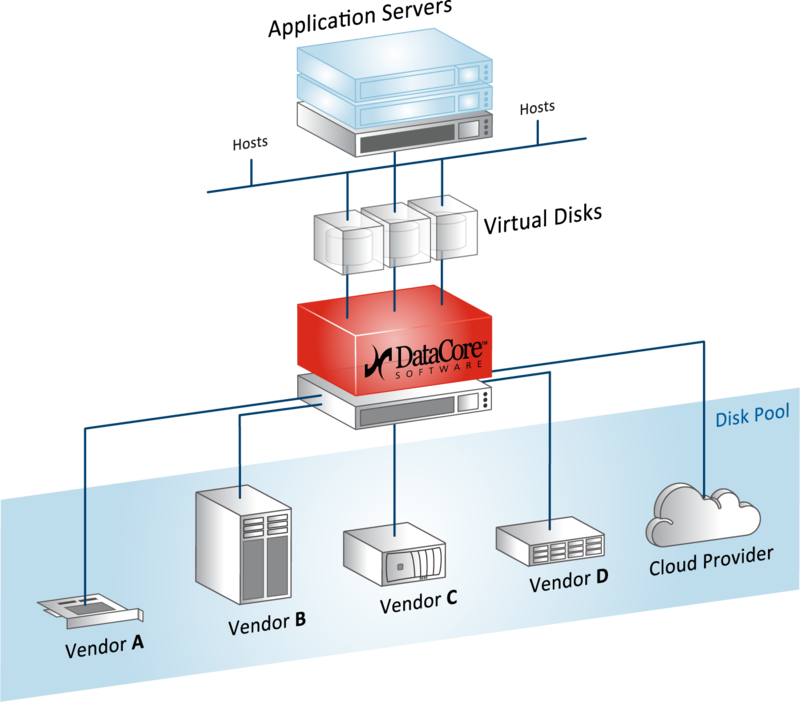 Talk with a storage expert to learn how DataCore can provide the flexibility that you need to manage your storage infrastructure without disruption to operations.